Your Mind is Your Playdough! What if we gave children the analogy of likening the mind to big hunk of playdough? Essentially that is the case. Brain research is exploding with tales of neuroplasticity and our awareness is expanding with the knowledge that our brains are continually developing and changing based on what we are programming them to do. Therefore, we have a giant opportunity to be very mindful, pun intended, about what we are putting into both our own and our children’s minds. Discuss how we can pay attention to our thoughts and shape our brains around positive, feel good thoughts. Have some little slips of paper with both positive and negative thoughts written on them. Pass some out to each person and share how you would feel if you were thinking that thought. Your mind is your playdough! Feel good as you shape it around positive, calm, relaxing, feel good thoughts! An excellent book that addresses the difference between positive and negative thoughts, is Meet Thotso, Your Thought Maker by Rachel Robb Avery, Nancy “Fern” Bennett Phillips, and Rebecca Davie Hazen. You can buy it on amazon or visit their website at www.smartthot.com. Kids love the interactive nature of the book and the fun way it depicts sunshine thoughts, boo boo thoughts, and bandage thoughts. 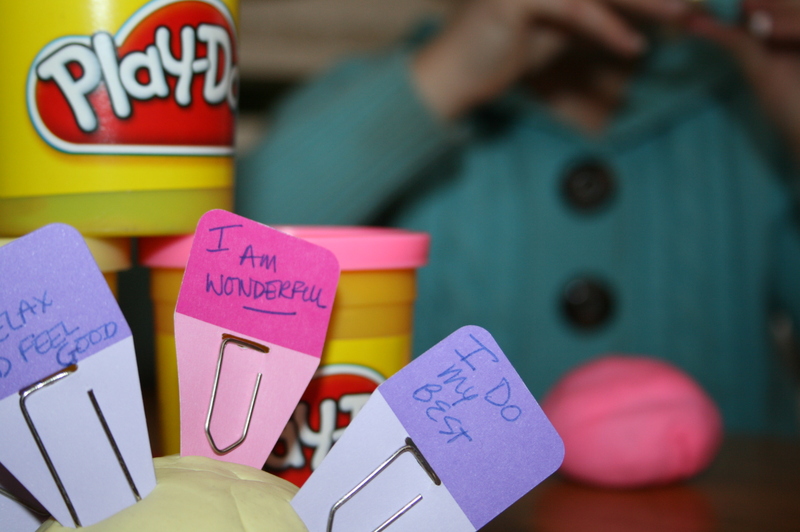 9 Responses to Your Mind is Your Playdough! So, So excited I came across this site! All the information you can complied is amazing and it is so helpful to have a resource that puts it all together! Thank you! this is a good reminder for us all!